Survivors: Thriving as a Long-Time, Actively Publishing, Children’s-YA Author by Cynthia Leitich Smith from Cynsations. CYN NOTE: Deeply reflective interview series, featuring insights from established voices like Monica Brown, Shutta Crum, Alex Flinn, Margaret Peterson Haddix, Uma Krishnaswami, G. Neri, Joy Preble, Nancy Werlin, David Lubar, and more. The Big Five U.S. Trade Publishers from Ali Almossawi. Updated graphic list showing which subsidiaries/imprints fall under which mega corporate umbrellas. Publishers Council of Canada: official website. Hardcover versus Paperback Debuts from Nathan Bransford. PEEK: “…a book that might have caught on as a paperback original could see a paperback run partially dashed if the hardcover doesn’t do well.” CYN NOTE: Nathan has retired from agenting to write full time. 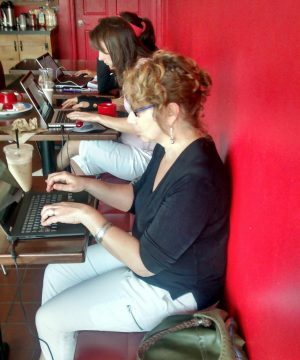 Unsung Heroes of Publishing from Christine Kole MacLean. Short interviews with a book designer, copy editor, publicity director, indexer, Printz committee chairperson, and sales rep.
Where Is the Diversity in Publishing? The 2015 Diversity Survey Baseline Results from Lee and Low. PEEK: “Countless panels, articles, and even conferences have been dedicated to exploring the causes and effects of this lack of diversity. Yet one key piece of the puzzle remained a question mark: diversity among publishing staff. While the lack of diversity among publishing staff was often spoken about, there was very little hard data about who exactly works in publishing.” See also Top 10 Responses to the Diversity Baseline Survey. 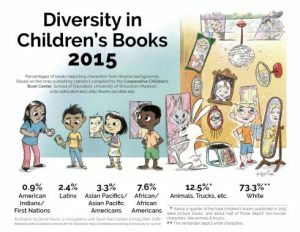 When Publishing and Reviewing Diverse Books, Is Expertise Overrated? by Jason Low from School Library Journal. Book Revenue Breakdown from Nathan Bransford. PEEK: “….note that this (thankfully) doesn’t include rights the agent/author might have reserved, such as audio rights, foreign, and dramatic rights, which can be very important in helping authors earn enough for a new couch to sit on as they frantically write their next book in the hopes of landing the money for a new coffee table.” CYN NOTE: Nathan has retired from agenting to write full time. How to Make a Living as a Children’s Book Author by Hannah Holt from her blog. PEEK: “Across the children’s literature spectrum (picture books – young adult) most authors don’t earn a living wage. Only about 45 percent of young adult authors earned more than $20,000 last year. 35 percent of middle grade authors and 15 percent of picture book authors made the $20,000 income threshold.” SEE ALSO Hannah’s 2017 Survey: Writing for Young Adults: A Look at the Publishing Numbers. 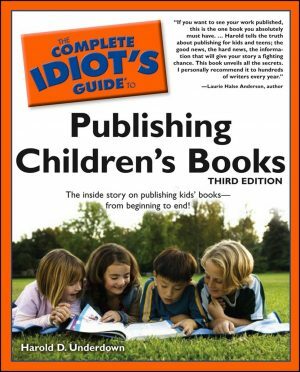 Book Publishing Glossary from Nathan Bransford. CYN NOTE: Nathan has retired from agenting to write full time. Book Publishing Glossary by Harold Underdown from The Purple Crayon. Terms to Know: Frontlist vs. Backlist by Eric from Pimp My Novel. Backinprint.com Reprints Out-of-Print Titles by Guild Members from the Authors Guild. PEEK: “The Guild’s Backinprint.com service makes out-of-print works available through online bookstores and the nation’s largest book wholesaler. There is no charge for members to participate, for most titles. SEE ALSO Rachelle Burk’s Resources for Children’s Authors. Topics include Work for Hire, Freelance Writing, Self-Publishing, Print on Demand, Subsidiary (Self) Publishers and Electronic Publishing.